We bake all year long, but during the holidays, we want to make something extra special. We’re talking homemade candy, people! 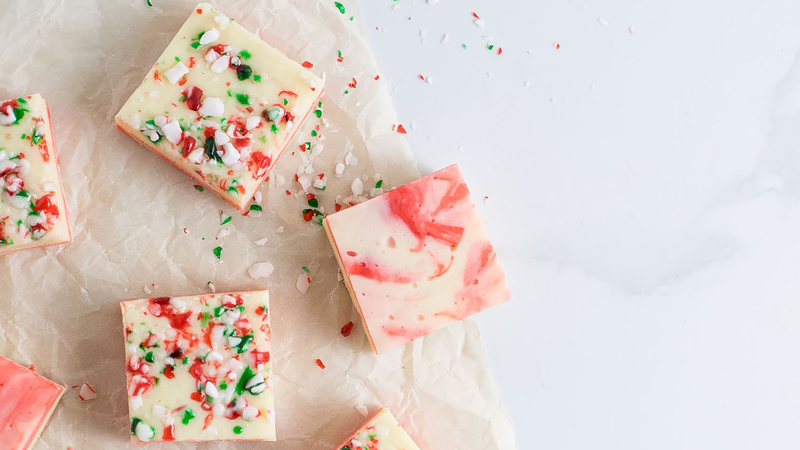 Not only is it a blast to make (and a dream to have your made-with-love treats on hand to snack on), but handcrafted confections also make great gifts. These recipes run the gamut from beginner- to expert-level, so take a look and see what’s in your wheelhouse this holiday season. Candy can sometimes be tricky to make because, for many candies, success depends so much on getting the candy mixture to the perfect temperature. For foolproof candy, a candy thermometer is a must. If you make a lot of candy and know the temperatures of the cooking stages, you might opt for an infrared thermometer that you simply point at the mixture to get the precise temperature. A word of warning when you’re making any candy: Be extremely careful. The sugar mixture can get as hot as 400 or 500 degrees F. This is not a kitchen activity for young children, but they can definitely help with the eating when it’s done. Image: Dinner at the Zoo. 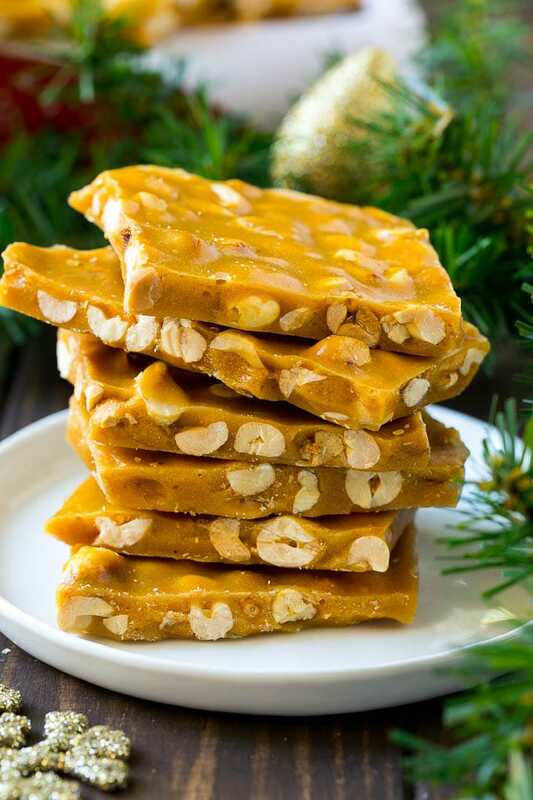 Classic peanut brittle is as giftable a candy as there ever was. You’ll want to break out your candy thermometer for this one, and make sure you use enough salt so it doesn’t get too cloying. If the thought of a boiling pot of sugar on the stove puts fear in your heart, this easy four-ingredient recipe, made in the microwave, will satisfy your Christmas cravings. Turtles, which are really caramel, chocolate and pecan clusters, are easy to make at home. A tin of these would be a welcome gift for just about anybody. 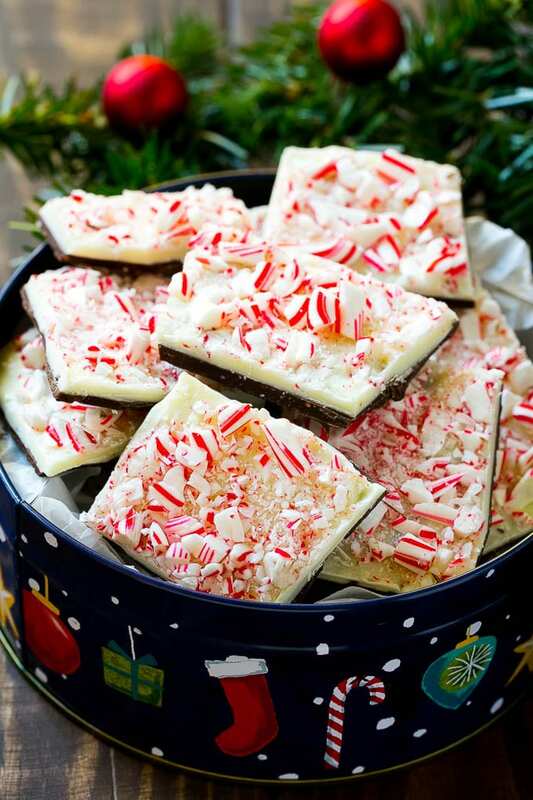 Creamy white chocolate and bittersweet dark chocolate come together to make this bark, which is dotted with crunchy candy canes. Feast on it all season long — it freezes well too. Crunchy honeycomb candy is an impressive kitchen creation, one that’s even more delicious once it’s dipped in dark chocolate. 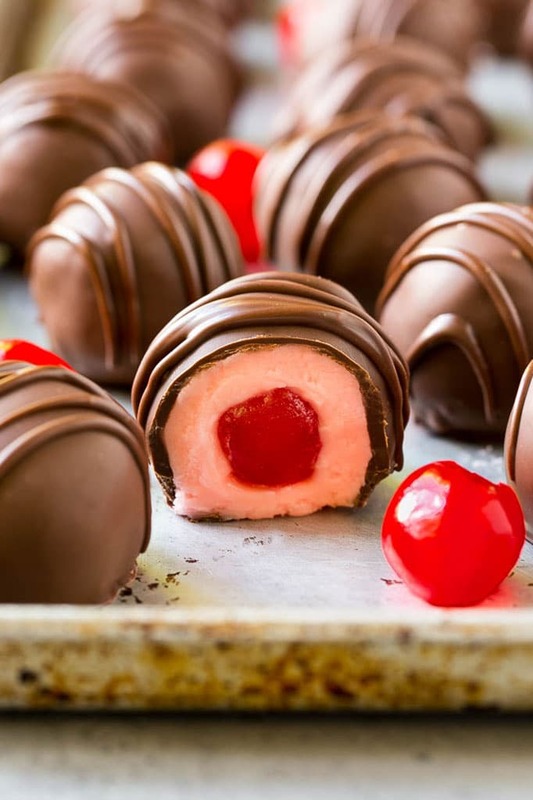 Chocolate-dipped cherries with a creamy filling are some of the fanciest sweets to treat yourself to this holiday season.